With a great location and world-class sports and meeting facilities, Cornwall is an ideal choice to serve as host of your next meeting, tournament or conference. Cornwall is located on the north shore of the St. Lawrence River, just west of the Ontario-Quebec border. Ottawa and Montreal are only an hour away and Canada’s busiest expressway, Highway 401, intersects the city. Cornwall is home to several world-class modern facilities, many of which host dozens of tournaments and sporting events each year. Facilities include the Benson Centre, a versatile facility with 3 ice rinks, indoor field house and tennis court. It is rivaled perhaps only by the Civic Complex, which includes a 5,000 seat arena, aquatic centre and adjacent curling club. The two facilities are linked by the Waterfront Trail, which is home to a variety of running and cycling events, including the popular Cornwall Triathlon. Cornwall can house hundreds of visiting athletes in the 1000+ hotel rooms in the City. Many hotels have extensive meeting facilities, including the Best Western Parkway Inn and Ramada Hotel. Unique to the area is the NAV CENTRE, an internationally recognized conference centre that includes over 560 rooms, on-site fitness centre and several multi-purpose rooms. 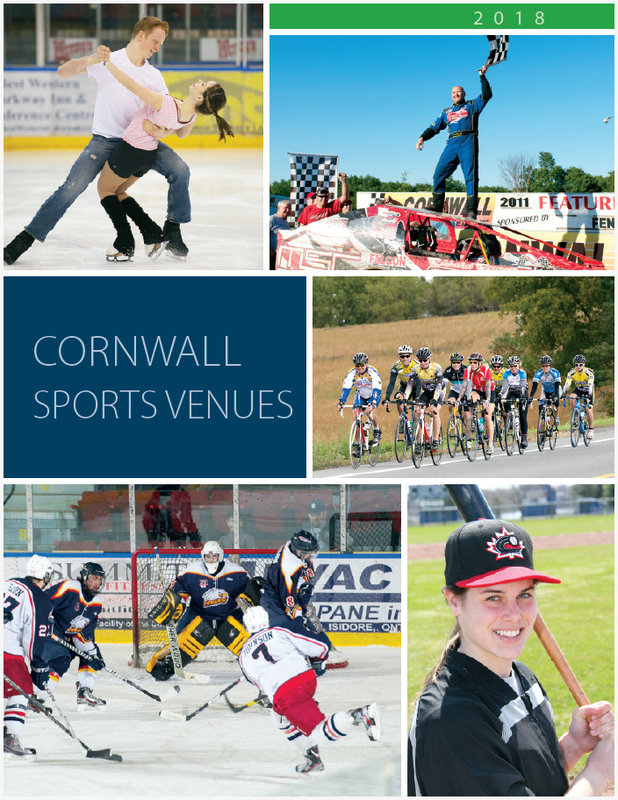 From the RBC Cup to the Canadian Golden Glove Championships, Cornwall has a long history of hosting successful events. The community has a strong base of volunteers with experience in running multi-day events. Over 5 million people are within a 90 minute drive of Cornwall, making it easy to attract out of town spectators. Ottawa and Montreal media regularly cover Cornwall sporting events. Cornwall has assembled a strong team to help you make your meeting, conference or sporting event a success! This includes municipal officials from Recreation, Economic Development and Cornwall Tourism, and key private sector partners such as hotels, restaurants and the NAV CENTRE.